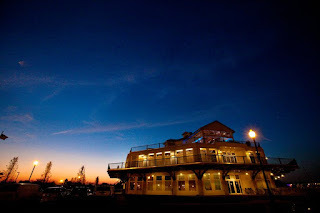 This restaurant had me at “hello.” Located at Liberty Landing Marina at Liberty State Park, with the NYC skyline and the Statue of Liberty for neighbors, that alone would serve as enough of a draw for me. But the lights from across the river are not the only things shining here. Thanks to Executive Chef/Owner, Chris Siversen, the food shines brightly, too. 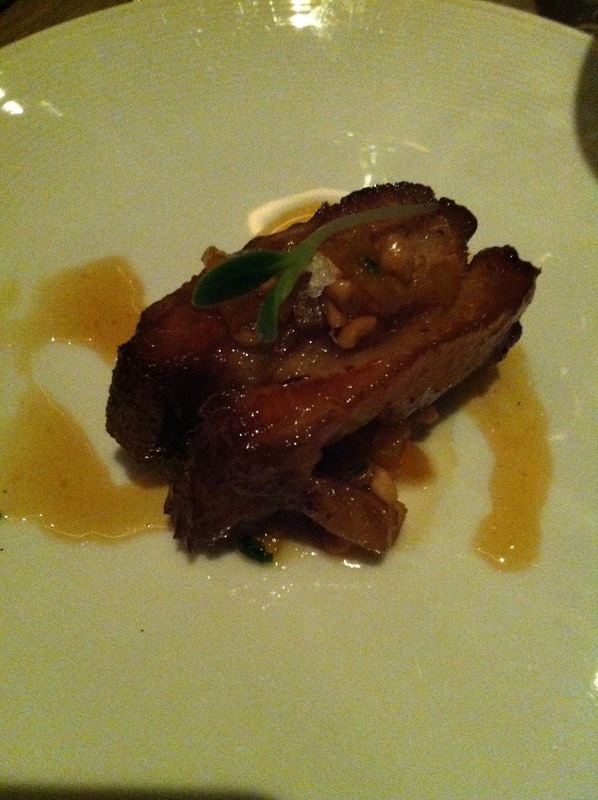 At a media dinner recently, Chef Siversen showcased the culinary talents on display here. 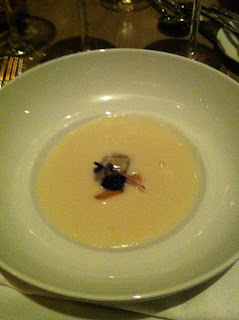 We began with a thick, velvety Smoked Potato Soup studded with Oysters and Caviar served with a Ulacia Txakolina 2011 white. 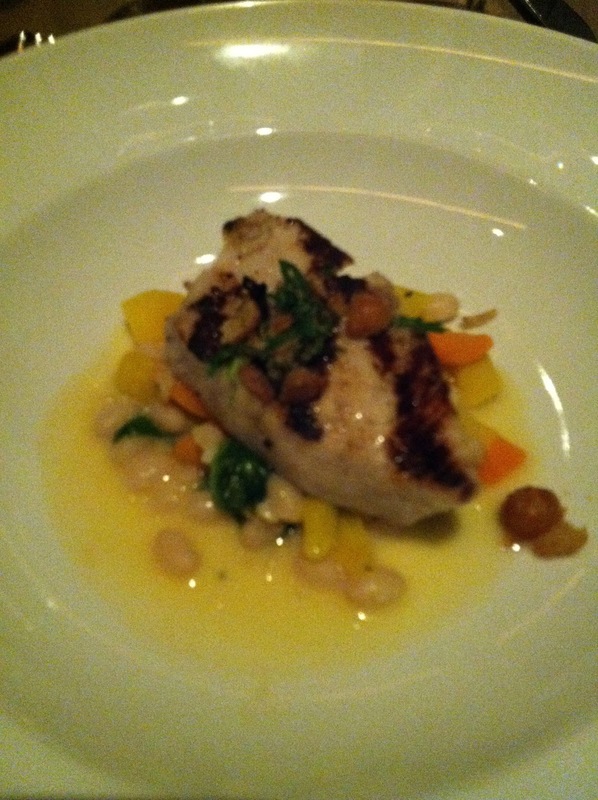 This course was followed by Grilled Line Caught Swordfish, Grapefruit Beurre Blanc, White Bean-Carrot Ragout. The perfectly cooked fish accented with the delicious citrus sauce and a side of fried chickpeas was incredible! The wine, Abbazia di Novacella Nerner 2011, a white with deep fruit essence really brought this dish home. The next course was a little unusual, but worked so well. Local Sea Scallops, Braised Short Ribs, Sauce Gribiche was absolutely luscious. The pairing of fish and beef in one dish was one I would not have ventured to chance, but in Chef Siversen’s hands it was magic. This was paired with a Domaine Sigalas Santorini 2011. The fourth course was Foie Gras, Spiced Cantaloupe, Lavender Honey Gastric, Brioche Toast…I am not a huge foie gras lover, both from a moral standpoint and taste wise, but the accompaniments were fabulous! This was served with a very dry 2010 Gini Soave Classico. And the food continues…an absolutely mouth-watering Sake and Soy Braised Pork Belly “Kung Bao” Style with Peanuts, Butternut Squash, and Honey. The best dish of the night! Served with a Mount Jefferson Cuvee Cristom Pinot Noir 2010. And ending the entrée portion of the meal, a Ginger Glazed Duck Breast with Parsnip Spaetzle, Hen of the Woods, Fig Jam. The spaetzle, IMHO a terribly underused item, was to die for. A delicious 2010 Morgan Pinot Noir Twelve Clones accompanied this. Elizabeth Katz, Maritime Parc’s Pastry Chef, did herself proud with the dessert tasting. Course one included a Lime Meringue, Mango Sorbet, Coconut Lemongrass Coulis, and Macadamia Brittle; Pumpkin Cheesecake with Gingerbread Bottom, Butter Pecan Ice Cream, and Roasted Pear and Pumpkin; and finally Apple Brown Butter Cake with Warm Baked Cinnamon Apples, Caramel Ginger Ice Cream, and Candied Cranberries (the big winner in my book!). These were served with a fruity and savory Vidal Ice-wine (NJ). Did you notice that the previous paragraph stated, “course one?” That’s right, there were two dessert courses (not a bad thing). This was definitely the chocolate lovers course. S’mores Sundae with Toasted Marshmallow, and Coffee Chip Ice Cream; 16 Layer Bittersweet Chocolate Cake, Fudge, and Pistachio Crunch Ice Cream, washed down with a Heitz Ink Port from Napa. You couldn’t go wrong with any of these choices. Besides a wonderful setting indoors for dinner, or a drink at the outdoor bar and patio in the warm weather, Maritime Parc has 18,000 SF of lovely event space with wraparound terraces showcasing those fabulous views (do I hear wedding planners swooning over this location?). 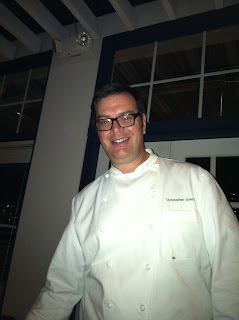 And Chef Siversen is planning something special to kick off 2013. On Thursday, January 17, Chef will be pulling out all the stops to highlight two of his favorite culinary components: a bird+beer dinner! This first of its kind, 5 course meal is devoted to birds, featuring local chickens, quail, duck, and other fowl, paired with beer and wine. The cost is $135 all-inclusive and starts at 7pm. Sounds like a great way to get the New Year started! Call 201-413-0050 for more information. And just to whet your whistle, try Maritime Parc’s signature cocktail, Perseverance. It’s just the thing to get you through these long, dark, cold winter nights. Fill a cocktail shaker with ice, add rum, Sauvignon Blanc, lemon juice, cinnamon agave and St. Germain. 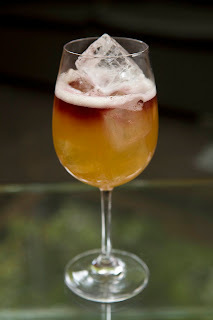 Shake vigorously and strain in a large wine glass with ice already in it. With a spoon over the wine glass, pour the float of pinot noir over the spoon into the glass. Serve. 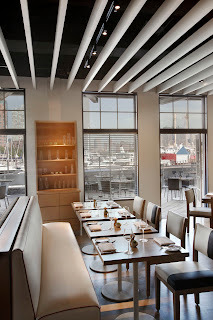 Maritime Parc is the answer to what’s been lacking at the Liberty Landing waterfront for quite some time. 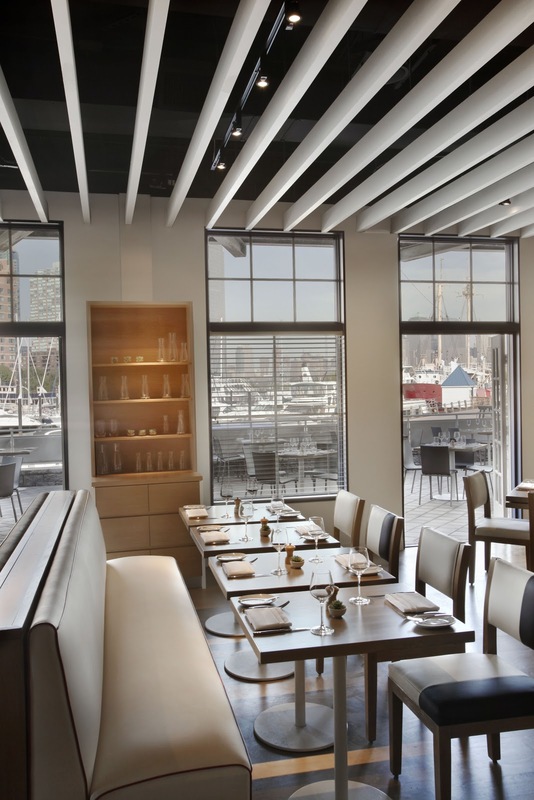 They always had the views, but now they’ve got the caliber of food and drink to match. Get there!